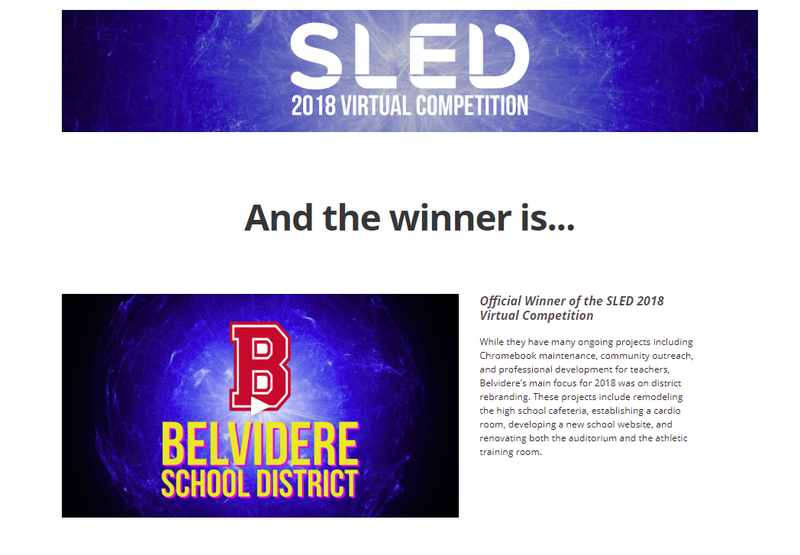 Student Advocates WIN the 2018 Virtual Competition! Click on the picture below to see the video submission! Belvidere Student Advocates were on the radio! ​Thank you WRNJ for hosting us on November 9, 2017! Click here to hear the interview! 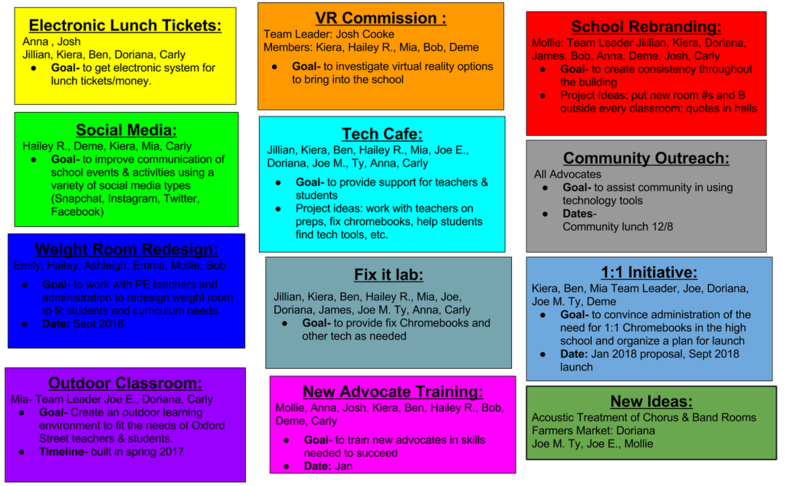 The Belvidere Middle & High School Student Advocate Program empowers students to model, inspire and facilitate change in our district. Identifying problems, developing plans and implementing solutions. Examples include: High School Cafeteria Redesign Project, Weight Room Redesign & Addition of Cardio Room, and Installation of new water fountains with bottle fillers. Running a Tech Help Cafe at Back to School night for parents. Community Outreach: working with Alumni on the Wall of Fame project, visiting the Community Lunch program to assist community members with tech needs. ​Working with Third Street Students to teach them how to solve problems, troubleshoot, and use a variety of digital tools. Assisting teachers in learning how to use digital tools in the classroom. Creating tutorials and fliers to assist parents, teachers and students in learning to use digital tools. Presentations to Board of Education, Teaching staff and in Community to communicate and build support. Testing new technology initiatives and systems. Troubleshooting and fixing technology problems in classrooms throughout the district. Mentoring students in working toward solving problems and making change. Advocates learn how to become effective communicators and leaders to inspire change. 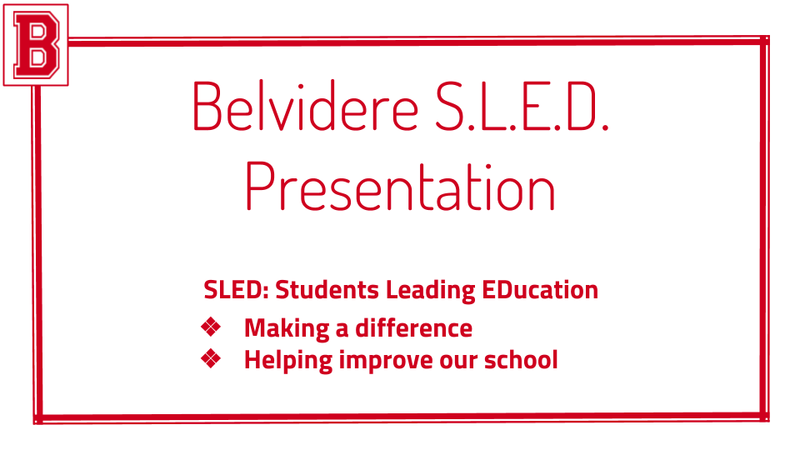 Our SLED program is open to Belvidere High & Middle School students in grades 5-12. For more information, please contact Mrs. Caralee Gately at cgately@belvideresd.org.